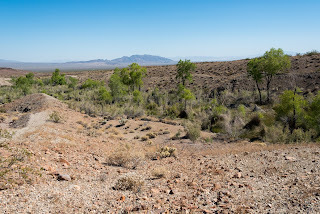 The sweeping creosote bush and white bursage scrub pictured above would be graded and bulldozed for the Soda Mountain Solar project. Photo by Michael E. Gordon. The Department of Interior has pursued a “landscape-scale approach to identify and facilitate investment in key conservation priorities in a region” (Secretarial Order 3330) to avoid the type of conflict presented by the proposed Soda Mountain Solar project and to protect wildlife that face increased threats as a result of climate change. The draft Desert Renewable Energy Conservation Plan (DRECP) - Interior's flagship landscape-scale planning effort - stresses the need for a bighorn sheep crossing at Interstate-15 between the Soda Mountains and Cronese mountains to restore bighorn sheep habitat connectivity. 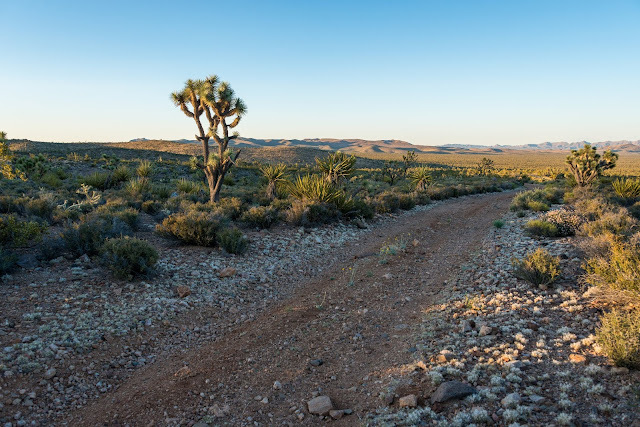 (DRECP, Appendix C, pages 9, and 38-39) These plans are embedded in the DRECP's biological goals and objectives that provide the foundation for the BLM's conservation efforts in the California desert for the next 25 years. Interior will now have to choose whether to follow the biological goals and objectives of a landscape-level planning effort in which it is heavily invested, or give the go-ahead for bulldozers to once again threaten the intactness of an ecosystem. Biologists note that the proposed wildlife crossing at Soda Mountains is important for bighorn sheep because the species is beginning to experience genetic isolation as a result of highways preventing intermingling of sheep populations across the desert. No other location along Interstate 15 is likely to have as much success encouraging bighorn sheep migration and inter-mingling, and if populations of bighorn sheep remain more isolated they can become more vulnerable to disease and extirpation. This is why landscape-level planning is so important - to identify these very conservation priorities and ensure a resilient ecosystem. BLM approval of the Soda Mountain Solar project would undermine the DRECP before it is even finalized, and once again confirm criticism that science takes a back seat to industry influence. A video by the Arizona Game and Fish Department underscores the potential to restore habitat connectivity with wildlife crossings, like this one over Highway 93 in Arizona. The Soda Mountain Solar project would pose a number of other threats to wildlife. The project would drain groundwater and likely endanger natural springs at Zyzzx that are home to the endangered Mohave tui chub (a small fish endemic to the Mojave) and where bighorn sheep slake their thirst. To make way for the giant mirrors, Bechtel would bulldoze nearly 3.4 square miles of the creosote bush scrub habitat in between Interstate-15 and the Soda Mountains, which currently provides habitat for kit fox and western burrowing owls. The National Park Service and Environmental Protection Agency both submitted letters critical of the BLM's environmental analysis, and community and conservation groups have implored Interior and Bechtel to consider alternative locations for the solar project. Bechtel does not yet have a power purchase agreement with a utility company willing to buy electricity from the project, so Bechtel has time to consider a less destructive location. But the environmental impact statement dismisses other locations, in part because Bechtel claims that it is too difficult to find private lands large enough to accommodate its 358 megawatt project close enough to transmission lines. Bechtel's claim regarding the lack of alternative locations is clearly misleading; there are several large-scale solar projects under construction or completed on private lands, to include Sun Power's 579 megawatt Solar Star project in the Antelope Valley. And Bechtel has not even secured an interconnection agreement with the Los Angeles Department of Water and Power (LADWP), the company that owns the transmission lines running near the Soda Mountains. So the value of the nearby transmission lines is hypothetical, and the inability to find a feasible alternative site on private lands is dubious. One thing is for sure, Bechtel and BLM put much less rigor into consideration of alternative locations than the DRECP put into identifying the Soda Mountain area as important for wildlife. 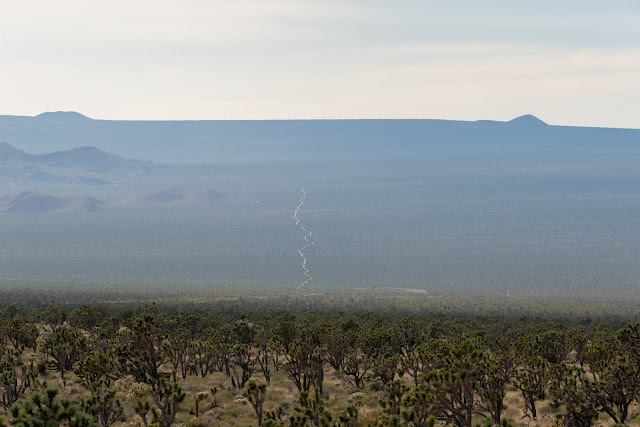 Yet Bechtel may just get its way, natural springs may dry up, and we will lose an opportunity to restore bighorn sheep migration across the Mojave.